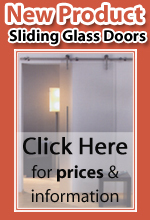 Welcome to Interior Glass Doors, offered exclusively by Protech Direct. Our toughenged safety glass interior doors are available exclusively from Protech Direct delivered to the UK mainland only. We now offer Double Glass Doors (Glass French Doors).